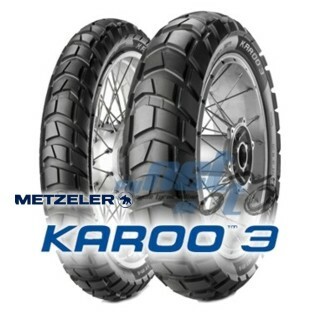 The new tyre is highly versatile, capable of guaranteeing high mileage to all those bikers who love to take on mid to long range travel, provide excellent grip off road, plus excellent stability and handling. Had my first long trip in Spain, mix of on/off road, mostly dirt up in mountains. Have them on BMW HP2 Enduro and really liked the mix of great off road traction and tracking along with a stable secure ride on the road. Yes they are a bit noisy, but over the miles they quiet a little. Very secure in the rain, and I felt cornered well dirt and road. Overall very pleased and will probably get new set when needed.